I love hosting a play date, I know I’m strange. I just love having the children running around happy, being able to show their toys and rooms. I love being the Mom that makes the other children happy. We had my best friend and her two little ones round today. So my recipe for a perfect play date is as so. The weather. Now none of us can control it but having a good dry day always helps. Like today not too hot but still nice enough to play outside. It’s not the end of the world if it does rain, just takes a little more effort to keep them entertained. Have lots of food in. It doesn’t matter what you make them for lunch they will still want snacks. I always make sure I have lots of crisps and ice lolly’s in. Have an activity planned. 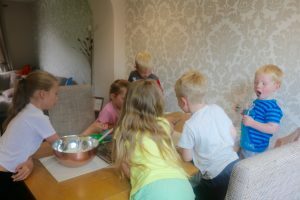 It might or might not happen but it’s always good to have something planned for them to do other than play with toys, iPads Wii U, outside etc. Today I planned baking. 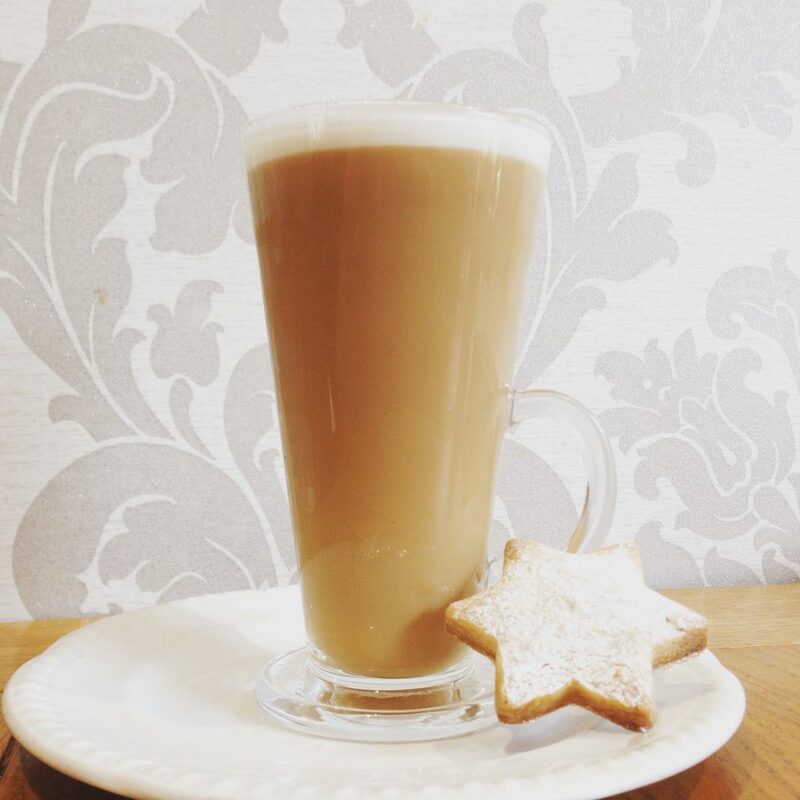 I love cooking, especially sweet things as they are my absolute favourite. 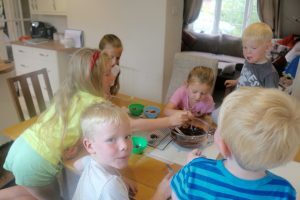 I knew they could all get involved in chocolate dipping and making biscuits. The first thing we did was to let them break the chocolate up and melt it. 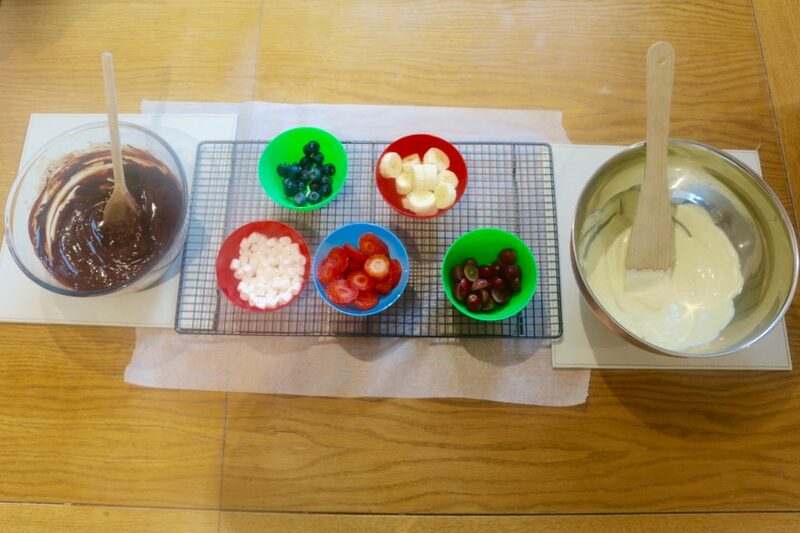 We chopped fruit into bowls and popped some marshmallows in as well. We set up a little dipping station and left them to it. It was a huge success. I thought they would dip and pop on the tray to dry and eat later. I had visions of a beautiful fruit chocolate spread. However over the years I have realised you can’t always control everything. So instead of my beautiful vision they ate as they dipped. They were all covered in chocolate in seconds, the fruit got dropped in and lost and we just had a dripping mess on the wire rack. But the main thing is – they loved doing it. 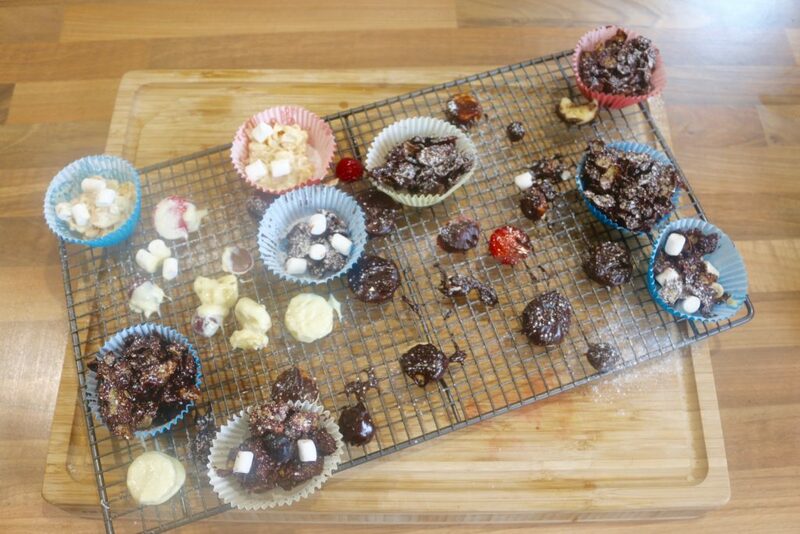 We had a little chocolate left over so went old school and mixed in some corn flakes – yum yum. I had already made some biscuit dough and popped it in the fridge. I had visions of rolling squares out for each child so they could use all the fab cookie cutters and cut what they wanted then putting them in the over. Oh no! I didn’t realise that I needed to take it out the fridge and leave it to warm a little before rolling. Queue a big crumbly mess with children looking at me like I had three heads. All was not lost though. I managed to work it a little and we got 12 biscuits cut in the end but sadly the kids didn’t have a lot of input. Not that they were fussed at all as they were all playing in the garden. 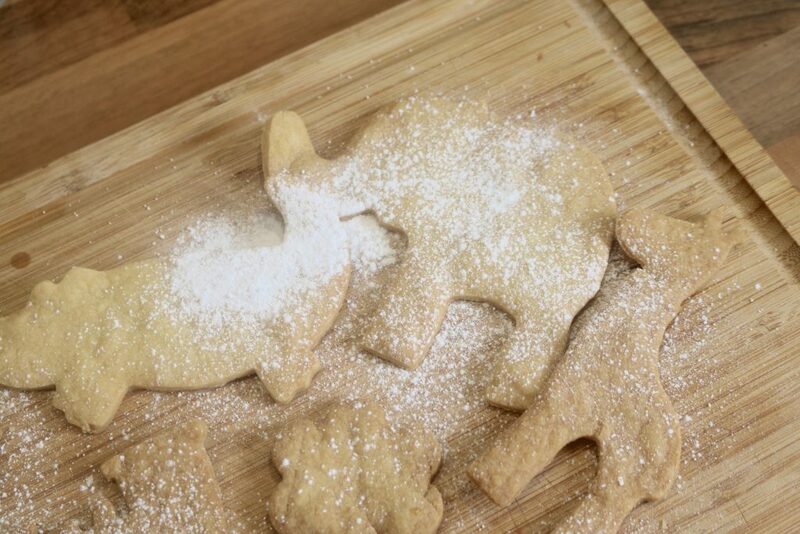 The biscuits were delicious once cooked and the fact that they were shaped like giraffes and elephants just added to the greatness. So a successful day all round. 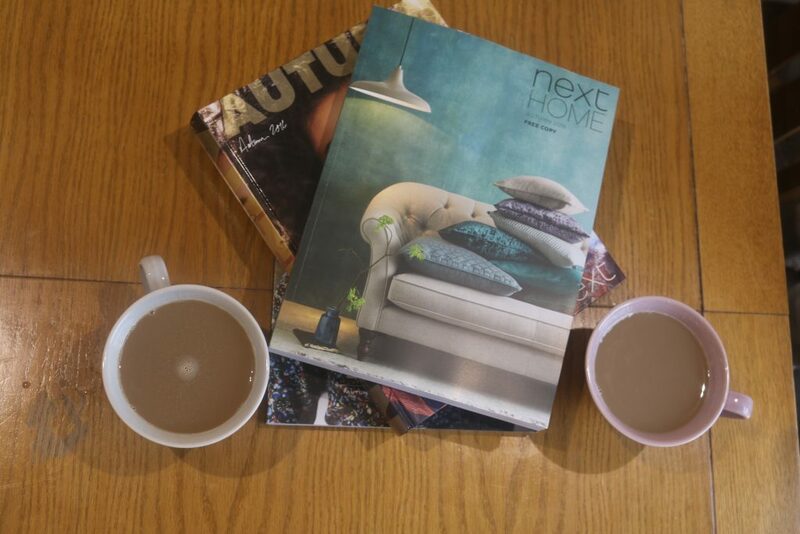 I got to look through the next home catalogue with an actual adult and have a nice latte with a yummy biscuit. The kids got to play all day and eat chocolate and biscuits with some of their best friends. Previous Post It’s day one! !